The semester is winding down, so I can’t say I was all that surprised to hear a soft, kittenish mewing coming from the small wedge of remnant wooded habitat between my apartment parking lot and the highway. I’ve mentioned before that I live in a complex near campus and, sadly, it’s common for a new crop of outdoor cats to appear as the students disappear. This is not unique to Virginia Tech—it happens in college communities all across the country. People often hold the misperception that cats are more independent and able to live on their own than dogs… that may have something to do with it. But as I scanned the underbrush looking for the source, thinking of what I might use to coax a frightened feline to come out, come out, wherever it was, I came to the happy realization that I wouldn’t be making a trip to the animal shelter after all. It’s been a long time since I heard a gray catbird (Dumetella carolinensis), and never was I more thrilled by a tune in the trees than last Sunday morning. Their call may be the world’s easiest to recognize. Once you’ve heard that “meow,” you won’t wonder another minute how the catbird caught its moniker. Like their relatives, the mockingbirds and thrashers, these birds are able to copy other sounds and string them together to create a clever mash-up. But their signature song isn’t a case of mimicry—its all their own, shared by every member of the species. Now that my ears have been retuned, I’ve been hearing catbirds calling all over town. That’s one more reason to be happy this spring, because this species, which is pretty common in most of its range, has been in decline recently in the southeastern U.S. You’d never know it here in Blacksburg, though, where it sounds like litters of catbirds have been turned loose in the woods. If not for that distinctive call, you might not even notice these secretive birds. They don’t like to cross open areas, so they stick to the thickets, moving in quick hops and short flights through dense vegetation as they search for insects and berries. 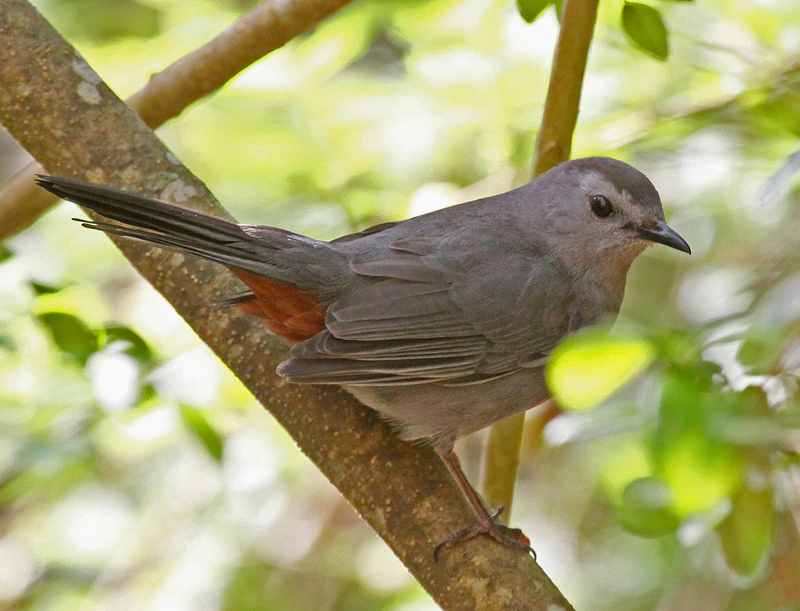 At first glance, a catbird’s plumage is unremarkable. But look again and you’ll see that slate gray gives way to a jaunty black cap and tail. Look even more closely and you’ll see a rich rusty-orange patch just beneath the tail. That bright flash of pigment always takes me by surprise and makes me laugh—it’s like catching a glimpse of a colorful thong or pair of boxers peeking out of a staid gray flannel suit! 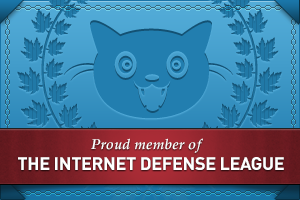 An example of the gray catbird’s diverse playlist — the first “meow” call is at about the 13 second mark. Do you have questions about wildlife? Email NDN and the answer may turn up as a future blog post. And don’t forget to “Like” us on Facebook! © 2011 Next-Door Nature— no reprints without written permission from the author. Walking near the central drill field on campus earlier this week, I happened upon the beginning of a mid-afternoon performance to celebrate the arrival of spring. The American Robin Ballet Company had taken their places on the lawn, dark taupe cloaks and carmine waistcoats vivid against the peridot-and-buff turf. They appeared frozen in place, waiting for the orchestra’s opening chords. Then all at once they began to move, not in sync but each using the same choreography. Step… step… step… then a brief, brisk run… plié… relevé. Repeat. Adagio (step… step… step)… allegro (step,step,step)… plié… relevé. Repeat. Actually, if you think about it, it’s natural to see robins and other songbirds as dancers. For one thing, they are almost always on at least demi pointe—what you and I might call being on our tippy-toes. 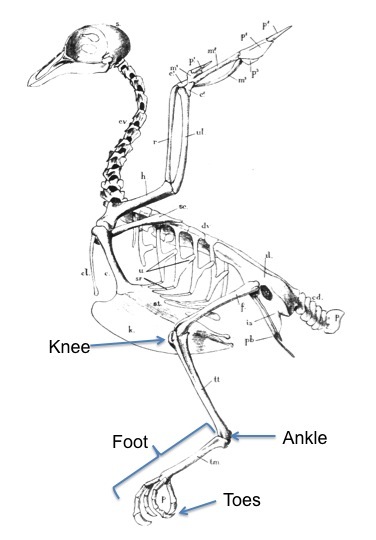 That’s because what we think of as the bird’s foot is actually only toes, and what we might initially think of as the knee is actually the ankle. But for the corps de ballet in this show, function is as important as form. It may look like a dance but in fact it’s a hunt… or a very stylish way to shop for groceries. Take your pick. 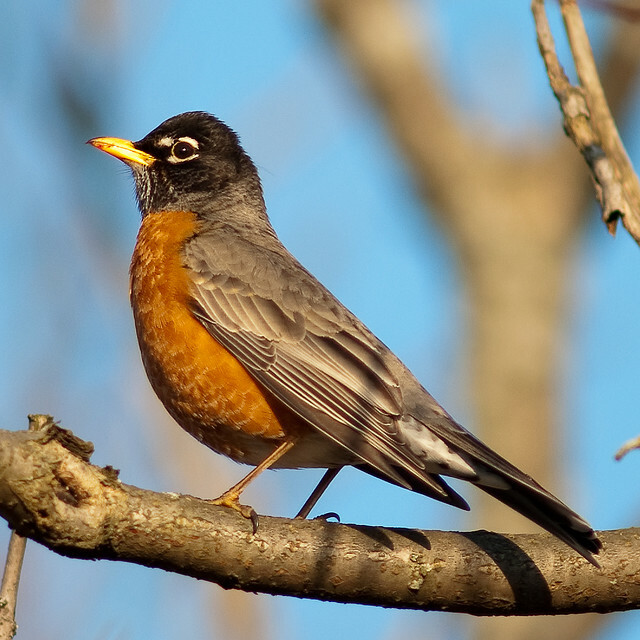 The appearance of robins is considered by many to signal the arrival of spring; however, in some parts of North America robins are year-round residents. In winter they may form enormous nighttime roosts of over a hundred thousand individual birds. There is strength—and warmth—in numbers. In spring and summer, after pairs have formed for pas de deux, males and females participate in the care and feeding of their offspring. However, females sleep on the nest, warming eggs or nestlings, while the males continue to gather each evening to sleep at the roost. As young robins gain their independence, they leave the nest and join the males at night. Robins are territorial, but unlike many birds, males are more protective of their mate and nest site than of feeding grounds, which often overlap. So while cardinals and even hummingbirds are known for aggressive intraspecies defense of food resources, it’s not unusual to see groups of red-breasted dancers on a single grassy stage, even at the height of breeding season. Email your wildlife questions to NDN and the answer may turn up as a future blog post. And don’t forget to “Like” NDN on Facebook! © 2011 Next-Door Nature— no reprints without written permission from the author. The bird skeleton drawing, from Illustrations of Zoology by W Ramsay Smith and J S Newell (1889), is in the public domain.